Puma is back with another incredibly complex design that is intended to shock players that see them for the first time. 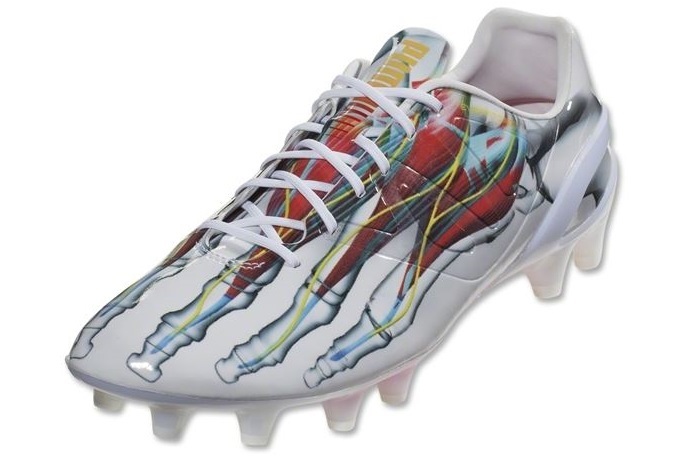 It is the evoSPEED 1.3 that gets the graphic treatment, with a depicted skeleton foot placed across the upper. Flip them over and you also get the skeletal look across the soleplate. With bones, tendons, some muscle and veins drafted across the microfiber upper material, it makes for one of the more intriguing releases we have seen in a while. In fact, you might it tough to find a quirkier release than these anywhere! For those interested, the official colorway is listed as a White/Turbulence/Vibrant Yellow. 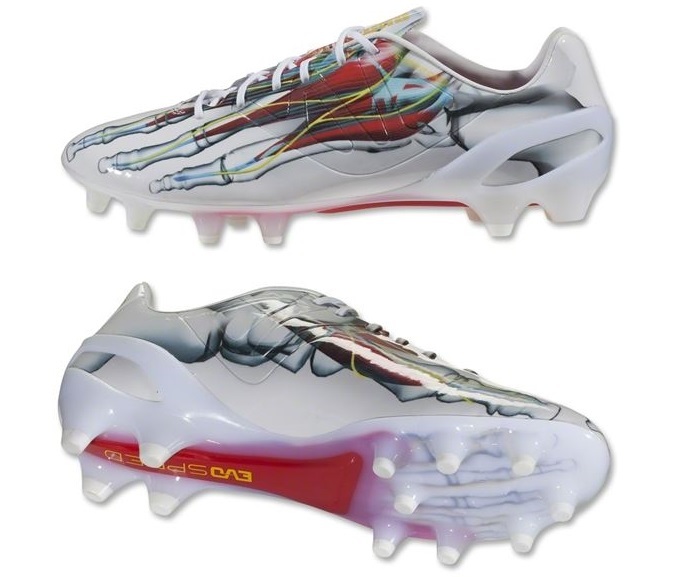 As with most Puma Graphic releases, this is set to be a limited edition release with only 910 pairs available worldwide. This in turn increases the price of the boot, with soccer.com listing them with a $225 price-tag. Maintaining the use of lightweight materials, the new evoSPEED 1.3 is extra light and flexible, which provides enhanced maneuverability and makes it the perfect choice for quick strikers and attacking midfielders. The new upper with its super thin microfiber finishing offers additional grip, control and touch for the ball. One further innovation of the new evoSPEED 1.3 is the redesigned support system. with Puma choosing to place the EverFit cage on the outside of the boot. Its inclusion on the upper enables support across the upper and additional stability through play. For more details on performance, check out our full review of the high profile speed boot.